Trawling shackle with square head pin. Bow and pin are galvanized, pin with additional red colour. 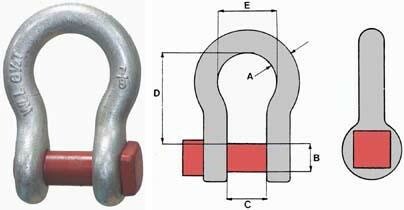 Size and swl are stated on the shackle. Breaklod is 5x WLL, but the shackle should not be loaded with more than the stated WLL.